There are many reasons to enter the 2019 Global Design Awards. You already know about all the business benefits and all the website promotional opportunities, but you have you thought about how HUGE it is to have just one of these prominent industry professionals look at your work, much less a WHOLE PANEL of industry greats?! 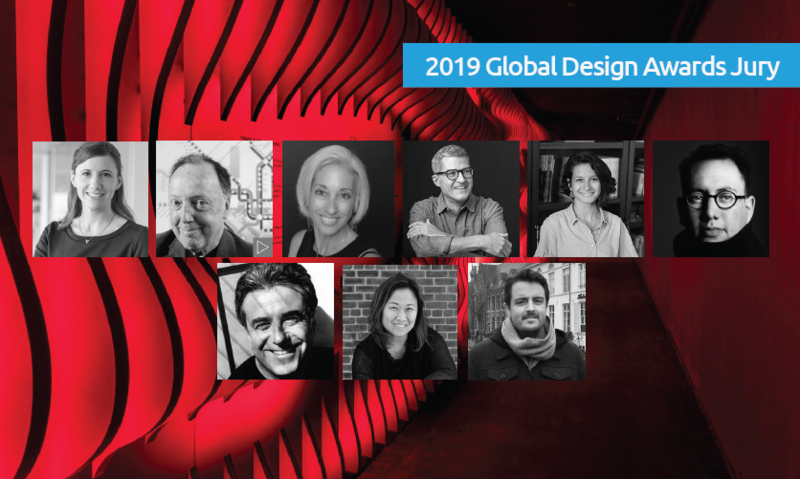 Right, so here are some of the highlights to help remind you how great of an opportunity participating in the Global Design Awards is: beginning, of course, with their fearless leader, Kathy Fry. Kathy Fry is the principal at Mayer/Reed, a Portland, Oregon based interdisciplinary design studio. Fry is also a member of the 2019 SEGD Board and Chair of the SEGD Achievement Awards. This will be her second year on the Design Awards jury! Fry was the creative director and co-producer of the first SEGD Chapter event to receive an SEGD design award; Revolution in the Landscape: Re-experience the Halprin Fountains. Lance Wyman, Lance Wyman Ltd.
Lance Wyman is considered one of the most influential graphic designers of our time and is credited with helping to define the field of environmental graphic design. Wyman founded Lance Wyman Ltd.in 1979 and has focused his work primarily on branding/wayfinding systems for public environments. Wyman's early landmark work also includes branding/wayfinding for the Mexico City Metro, the National Zoo, and the Minnesota Zoo, which TIME magazine selected as one of the 10 best designs of 1981. Refik Anadol is an accomplished media artist and director, AND his "Archive Dreaming" won the 2018 Global Design Award for Best of Show. Anadol's work explores a hybrid relationship between architecture and media arts. Anadol is the recipient of many accolades including Microsoft Research's Best Vision Awards, UCLA Art+Architecture Moss Awards, the University of California Institute for Research in the Arts Awards and CODAvideo Awards. Dardinelle Troen is the Founder and Creative Director at Ditroen. Troen's "Denver RTD G-Line Windscreens" won her an Honor Award in 2018's Global Design Awards. Troen has developed branding, wayfinding, and thematic programs for a multitude of corporate, healthcare, retail and hospitality environments including a series of site-specific public art installations for a regional light rail transit line. Lee H. Skolnick was an SEGD Board Member for six years, was 2004's Distinguished Member Award honoree, and is Founder and Design Prinicipal of Lee H. Skolnick Architecture + Design Partnership. Skolnick sits on the boards of various arts and design organizations, he is Chairman of Architecture Omi and has served on the Editorial Advisory Boards of several design magazines. In addition to Skolnick's work in designing museums, schools, libraries, residences, exhibits and more, he is also notable in his creation of numerous, popular museum education programs for kids. Cynthia Damar-Schnobb is a Partner at Entro, valuable contributor and team lead for the devel­op­ment of a number of local and inter­na­tional projects. Damar-Schnobb sets new standards of practice and innovation as a design leader in EGD through her experience in industrial design and user interface design. Damar-Schnobb has led major EGD projects from health care, transit, airports, civic, mixed-use, cultural and educa­tional facil­i­ties. Joe Donovan is a Senior Exhibit Designer at Ideum, specializing in experiential and interactive design. Donovan has worked on multiple research and development projects, including "Exploring Pueblo Pottery," winner of a Merit Award from the Society of Experiential Graphic Design. Joe is currently leading the exhibit and experience design of the new penguin habitat at the Albuquerque BioPark, opening April 2019. Corso's advanced skills in color theory, typography and prototyping provoke thoughtful ideas on a variety of projects, from naming and logo design to monument signage and supergraphics. Corso was on the design team that created the "We are HSI—MSU Denver Hispanic Serving Institution Interactive Installation" that won a Merit Award at the 2018 Global Design Awards. Cameron Smith is Partner and Creative Director at Infinite Scale. In his work, Smith focuses on more than just the design style of each project for the firm. He also helps make collaboration efforts a reality. Smith is known for pushing vendors to produce beautiful work that is both well designed and functional. Don't miss out on this extraordinary opportunity. Get your work seen by the some of the best creators in the industry—register today!